Please read these Terms and Conditions ("Terms", "Terms and Conditions") carefully before using the salemoaks.com website, or any other website, or mobile apps, (the "Service") operated by Salem Oaks Enterprises LLC, DBA Salem Oaks Consulting, at 216 Beckwith Hill Dr, Salem, CT 06420 (“Salem Oaks”, "us", "we", or "our"). We are constantly updating product and service offerings on the Service. We may experience delays in updating information on the Service and in our advertising on other web sites. The information found on the Service may contain errors or inaccuracies and may not be complete or current. Products or services may be unintentionally mispriced, described inaccurately, or unavailable on the Service and we cannot guarantee the accuracy or completeness of any information found on the Service, or in links to this Service on third party web site. This service is not intended to be used by anyone under the age of 18 and we do not intentionally market our service to anyone under the age of 18. We do not knowingly collect personally identifiable information from anyone under the age of 18. If you are a parent or guardian and you are aware that your Child has provided us with Personal Data, please contact us. If we become aware that we have collected Personal Data from children without verification of parental consent, we take steps to remove that information from our servers. You are responsible for maintaining the confidentiality of your account and password, including but not limited to the restriction of access to your computer and/or account. You agree to accept responsibility for any and all activities or actions that occur under your account and/or password, whether your password is with our Service or a third-party service. A third-party service is a service that allows you to log on to our service using your user ID and password for a service including, but not limited to, Facebook, or LinkedIn. You must notify us immediately upon becoming aware of any breach of security or unauthorized use of your account. The Service and its original content, features and functionality are and will remain the exclusive property of Salem Oaks and its licensors. The Service is protected by copyright, trademark, and other laws of both the United States and foreign countries. Our trademarks and trade dress may not be used in connection with any product or service without the prior written consent of Salem Oaks. Our Service may contain links to third party web sites or services that are not owned or controlled by Salem Oaks Enterprises LLC. 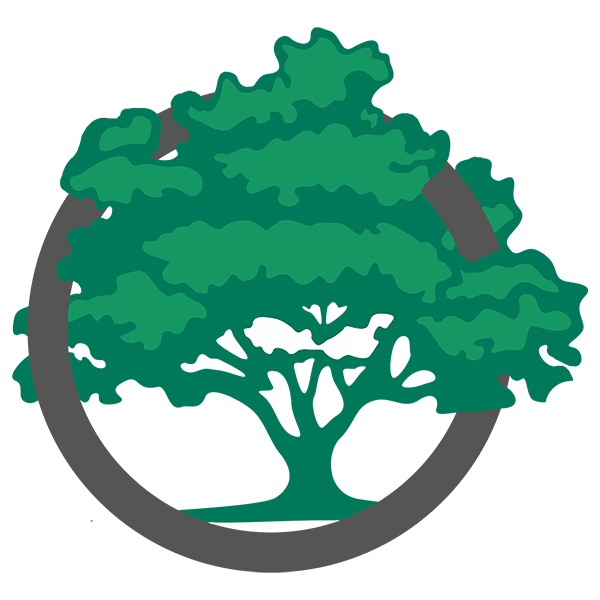 Salem Oaks has no control over, and assumes no responsibility for the content, privacy policies, or practices of any third-party web sites or services. We do not warrant the offerings of any of these entities/individuals or their websites. You acknowledge and agree that Salem Oaks shall not be responsible or liable, directly or indirectly, for any damage or loss caused or alleged to be caused by or in connection with use of or reliance on any such content, goods or services available on or through any such third-party web sites or services. The use of products may involve a one-time payment for each product. If you wish to terminate your account, you may simply discontinue using the Service. We reserve the right to make separate contractual agreements with organization that may or may not require a subscription fee. However, these contracts will be time-bound with no option for auto-renewal. The process for termination of these agreements will be specified within the specific contracts. You agree to defend, indemnify and hold harmless Salem Oaks and its licensee and licensors, and their employees, contractors, agents, officers and directors, from and against any and all claims, damages, obligations, losses, liabilities, costs or debt, and expenses (including but not limited to attorney's fees), resulting from or arising out of a) your use and access of the Service, by you or any person using your account and password, or b) a breach of these Terms. In no event shall Salem Oaks, nor its directors, employees, partners, agents, suppliers, or affiliates, be liable for any indirect, incidental, special, consequential or punitive damages, including without limitation, loss of profits, data, use, goodwill, or other intangible losses, resulting from (i) your access to or use of or inability to access or use the Service; (ii) any conduct or content of any third party on the Service; (iii) any content obtained from the Service; and (iv) unauthorized access, use or alteration of your transmissions or content, whether based on warranty, contract, tort (including negligence) or any other legal theory, whether or not we have been informed of the possibility of such damage, and even if a remedy set forth herein is found to have failed of its essential purpose. ALL ORDERS, PRODUCTS, SERVICES, INFORMATION, AND/OR OTHER CONTENT AVAILABLE ON THE SITE, OR OBTAINED FROM A SITE TO WHICH THE SITE IS LINKED (A “LINKED SITE”) ARE PROVIDED TO YOU “AS IS” WITHOUT WARRANTY OF ANY KIND, EITHER EXPRESS OR IMPLIED INCLUDING, BUT NOT LIMITED TO, THE IMPLIED WARRANTIES OF MERCHANTABILITY AND FITNESS FOR A PARTICULAR PURPOSE, TITLE, NON-INFRINGEMENT, SECURITY OR ACCURACY. TO THE MAXIMUM EXTENT PERMITTED BY LAW WE DISCLAIM ALL REPRESENTATIONS AND WARRANTIES OF QUALITY, WHETHER EXPRESS OR IMPLIED, WITH RESPECT TO SUCH GOODS, INFORMATION, SERVICES, PRODUCTS, AND MATERIALS, INCLUDING, BUT NOT LIMITED TO, WARRANTIES OF MERCHANTABILITY, FITNESS FOR A PARTICULAR PURPOSE, TITLE, NON-INFRINGEMENT, FREEDOM FROM COMPUTER VIRUS, AND IMPLIED WARRANTIES ARISING FROM COURSE OF DEALING OR COURSE OF PERFORMANCE. YOU ACKNOWLEDGE THAT YOU HAVE NOT BEEN INDUCED BY ANY STATEMENTS OR REPRESENTATIONS OF ANY PERSON OR ENTITY WITH RESPECT TO THE QUALITY OR CONDITION OF THE GOODS AND/OR SERVICES AND THAT NO SUCH STATEMENTS OR REPRESENTATIONS HAVE BEEN MADE. YOU ACKNOWLEDGE THAT YOU HAVE RELIED SOLELY ON THE INVESTIGATIONS, EXAMINATIONS, AND OTHER DUE DILIGENCE THAT YOU HAVE CHOSEN TO MAKE AND THAT THE WE HAVE AFFORDED YOU WITH THE OPPORTUNITY FOR FULL AND COMPLETE INVESTIGATIONS, EXAMINATIONS, AND OTHER DUE DILIGENCE. a) the Service will function uninterrupted, secure or available at any particular time or location; b) any errors or defects will be corrected; c) the Service is free of viruses or other harmful components; or d) the results of using the Service will meet your requirements. Your use of the Site and any dispute arising out of your use of the Site is subject to the laws of the State of Connecticut, United States of America, and applicable federal law without regard to conflicts of laws principles. You agree that any and all disputes between you and us will be resolved by the state and federal courts located in New London County, Connecticut. You further agree to submit to and consent to the jurisdiction of the state and/or federal court(s) within the state of Connecticut within or closest to Salem, Connecticut. We may, at our option, let you know via a prominent notice on our Service, prior to the change becoming effective and update the "effective date" at the top of these Terms and Conditions. The most recent effective date of these Terms is shown at the top left of these Terms. You should review these Terms regularly for any revisions or other changes. By continuing to access or use our Service after any revisions or other changes become effective, you agree to be bound by the revised Terms. If you do not agree to the revised Terms, you are no longer permitted to use the Service.